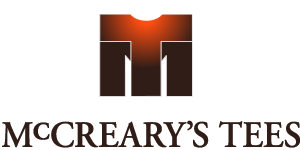 A Great Member Benefit from McCreary's Tees! As the Official Apparel Sponsor for AzPPA, McCreary’s Tees is offering to waive for AzPPA members, the $2.00 or $5.00 fee that is normally charged on smaller orders. You must ask for this waiver at the time the order is placed, whether on an order placed via the website or via telephone. This is another great benefit of your membership. You can contact McCreary’s Tees at 602 470-4200 for details. Would you like to save thousands of dollars on products you already purchase? Over 200 coupons, from national suppliers, with discounts on set up, express shipping, EQP pricing, samples, and $$ off on your orders. Members tell us if you use just 2 coupons out of this book you can easily recoup your annual membership fee! PromoHunt's toolbar automatically displays helpful and relevant information when you are on Supplier websites. 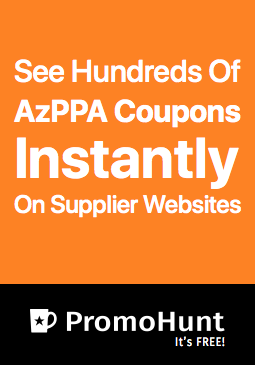 You can now use all of our AzPPA coupons without needing to search for them. SAVE on SAGE Total Access and Business Services Suite! SAGE will offer distributor members a 10% discount on your first user license of SAGE Total Access as well as all SAGE Business Suite package subscriptions, saving members money on a tool you already use every day. Contact your account rep at www.sagemember.com or www.sageworld.com and tell them you're an AzPPA Member! SAVE $$ on your Email Marketing! company, to bring our members additional savings for their email communications. touch with customers, sell more, and increase your bottom line. Their easy-to-use marketing tools help you communicate effectively, frequently, and safely. The result? More repeat business and referrals! Easy-to-use products and access to free, branded templates! Simply click on it to update content. off 6 months prepaid, and 25% off 12 months prepaid. first email is a success! Promotional products veterans know just how important proper color matching is to satisfying customers and the best way to ensure colors match is with PANTONE® products. As members of the PPAI Regional Affiliate Program, AzPPA, now offers a great selection of PANTONE® products including the best selling Formula Guide (most popular with Suppliers) and the Color Bridge (a Distributor favorite). 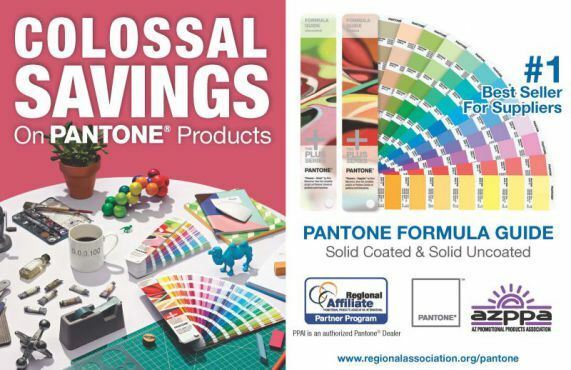 Start saving up to 25% on PANTONE® products by visiting www.regionalassociation.org/pantone. For additional program details, contact AzPPA at (480) 626-1958. 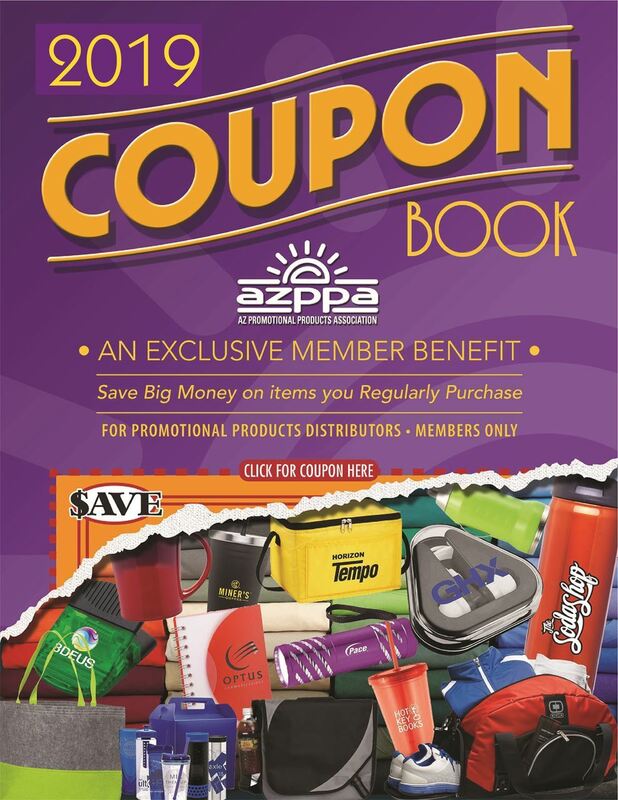 NOTE: To receive your discount you must be a member and enter the AzPPA pass code. If you are not sure what that code is, please contact, AzPPA Executive Director, Betsy Andrade. Disclaimer: Regional Affiliate Pantone Program is provided through PPAI, your industry’s authorized Pantone Partner. Pantone discounts are off standard retail prices and cannot be combined with other offers or discounts. Shipping not included. Prices are subject tochange without notice. 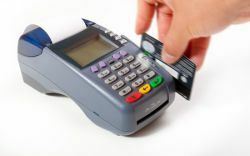 Merchant Credit Card Processing - Savings as high as 52%! Arizona Promotional Products Association has partnered with Direct Connect America to bring businesses a cost saving solution to high credit card processing fees! Learn how you can potentially reduce your credit card processing fees up to over 50% through this Members Only Benefit! Educational seminars to enhance your success in business, most of which can help you earn CEU credit towards your CAS/MAS/MAS+ certifications.